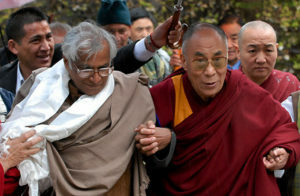 (TibetanReview.net, Jan30’19) – The Dalai Lama has on Jan 29 expressed sadness on the passing away of Mr George Fernandes, a fiery former trade unionist, journalist, agriculturist, and member of parliament from Bihar who later served as India’s Communications, Industries, Railway as well as Defence minister. He was down with Alzheimer’s condition for some years and passed away at his home in New Delhi on Jan 29 morning, aged 88. 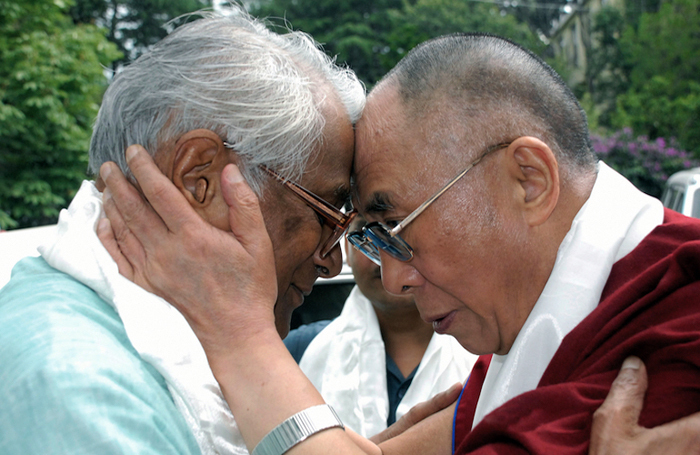 In his condolence message to his widow Leila Kabir, who had returned to his life after he was diagnosed with Alzheimer’s and Parkinson’s diseases, the Dalai Lama spoke of having known and met regularly with Mr Fernandes for over five decades. He spoke of his great admiration for Mr Fernandes for his dedication to what he believed in, no matter how difficult the situation was. Fernandes was a key member of the Janata Dal party and also a founder of the Samata Party. It was during his tenure as defence minister that India conducted the nuclear test at Pokhran in 1998. Less than six weeks after taking charge as defence minister in 1998, the socialist leader called China India’s No.1 threat, rocking the Indian defence and foreign policy establishments but earning hearty endorsement from many commentators.